The commemoration of the end of the conflict in South-East Asia takes place annually and falls under the auspices of the Board of the 15 August 1945 Commemoration Foundation. 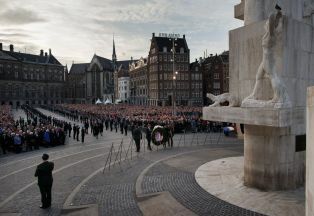 The goal of the Foundation is to organise every year on 15 August a dignified commemoration to mark the official end of the Second World War for the Kingdom of the Netherlands and for all the victims who died during the war in South-East Asia. The second goal is to increase awareness in the Netherlands of the commemoration of this historic day, the struggle against Japan in the former Dutch Indies, the resistance mounted, the further persecution during the Japanese occupation, and its consequences for the people who lived there. The 15 August 1945 Commemoration Foundation works towards this together with the Indies Remembrance Centre and the National 4 and 5 May Committee. The Board of the 15 August 1945 Commemoration Foundation has and retains ultimate responsibility for the commemoration and remembrance. To reinforce this, the Board ensures that within the Foundation people from the first generation are also kept involved for as long as possible. The Indies Remembrance Centre (IHC) and the 15 August 1945 Commemoration Foundation work together as partners on the implementation of the programme for the National Indies Commemoration on 15 August and on plans for a new annual programme of joint activities. As part of this substantive collaboration, the Commemoration Foundation and the IHC wish to attract a broader and younger public. The Board of the 15 August 1945 Commemoration Foundation has and retains ultimate responsibility for the commemoration and remembrance. On 1 October 2017, the Commemoration Foundation moved its secretariat to Sophiahof in The Hague. The agreements were confirmed in a covenant between both parties. 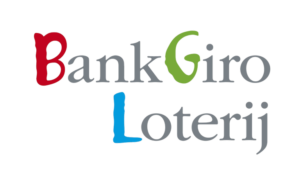 The collaboration has been supported by the Vfonds and the BankGiro Loterij. The IHC, one of four national centres for the remembrance of the Second World War, is a professional organisation active in the area of commemoration and remembrance of the victims of the Second World War in South-East Asia and of the de-colonisation process. The IHC directs attention to this history through activities such as public meetings, educational pursuits, and projects. The Board of the 15 August 1945 Commemoration Foundation has for many years guaranteed the continuity of a dignified commemoration. The Board has stated this as its prime and most important task and its policy reflects this. The Board is supported by professional staff of the National 4 and 5 May Committee in the implementation of that policy.